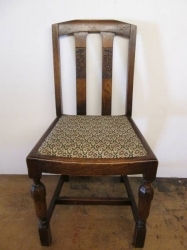 A well made and constructed set of four solid oak chairs. 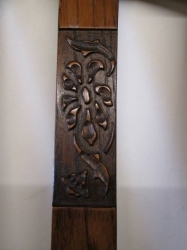 They have carved and turned front legs with an elaborately carved centre back panel( as picture shows ). This mid Century set of four dining chairs can be restored to your desired taste, at a fraction of the cost of most modern chairs available for sale today. 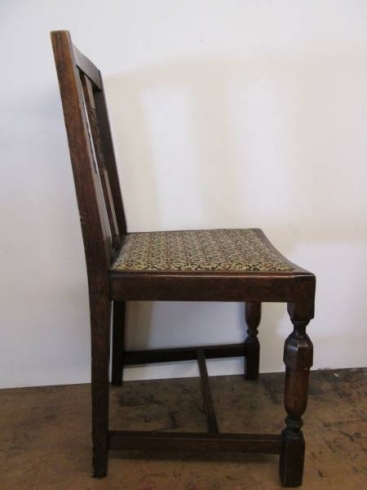 We have previously restored and painted chairs similar to these, and they do look stunning in chalk paints, gloss paints etc. Please call to discuss pricing and fabric choice options. 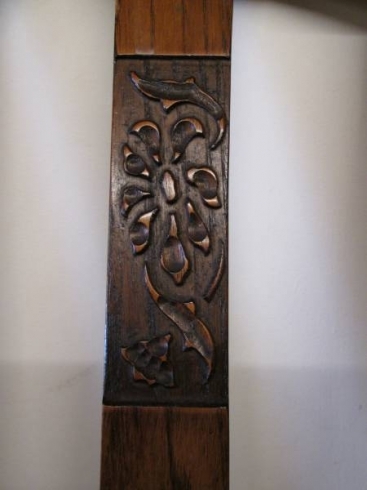 Dimensions - height 88.5 cms, width 46 cms, depth 46 cms.